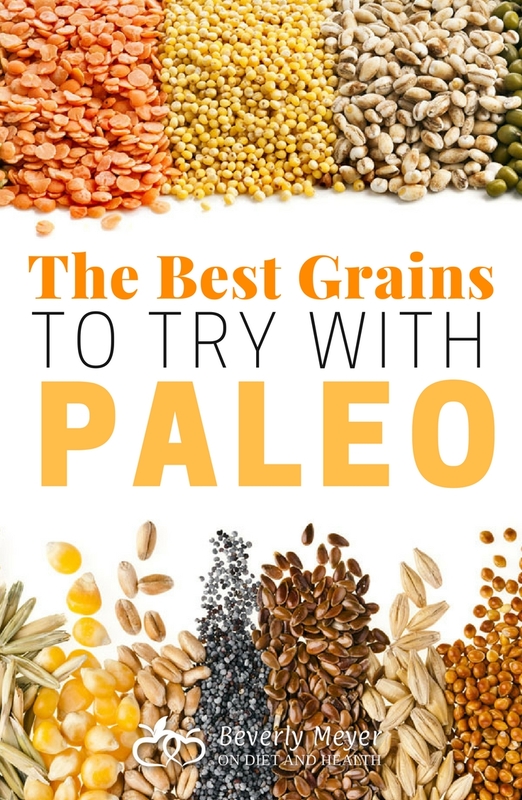 The Paleo Diet eliminates cereal grains such as wheat, rice and corn, and the pseudo-grains such as quinoa, millet and buckwheat. But I needed more calories and don’t tolerate sweet potatoes or other starchy tubers. So I experimented with the best way to prepare Quinoa and Wild Rice. 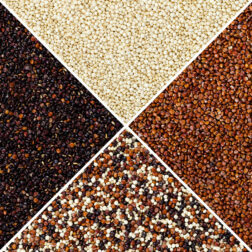 One cup of cooked Quinoa adds 220 calories, so don’t add these grains unless you’re at or under your ideal weight. 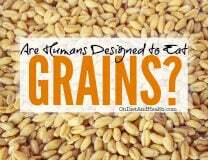 Cereal grains are the seeds of cultivated grasses and include wheat, rye, oats, rice, corn and barley. We’ve changed them from their original wild state as short, unimportant grasses with tiny seed heads. We now have huge, heavy seed heads of corn and wheat growing on industrial acreage. “Pseudo-grains” are seeds from shrubs or bushy plants, not grasses. They include Amaranth, Buckwheat, Quinoa and Millet. Wild rice is not a true rice or Cereal Grass – it’s a reed-like Aquatic Grass. It grows in shallow water with the seed heads visible above the water. It is related to “rice” but has not undergone extensive hybridization. The seeds are large and dark brown, native to North America and China. 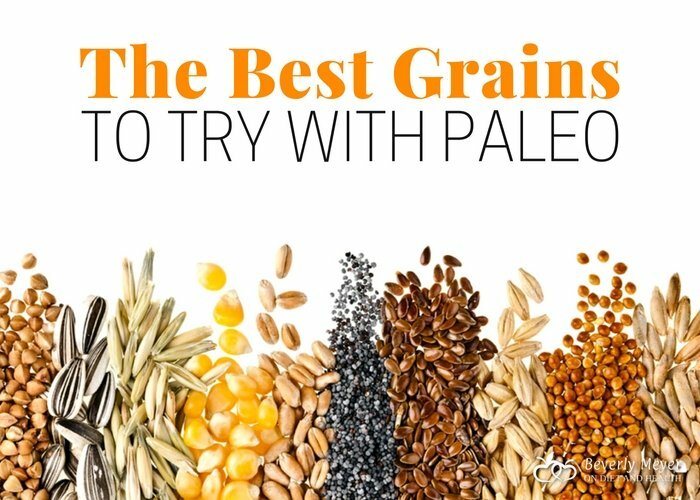 Best Grains to Add to Paleo? 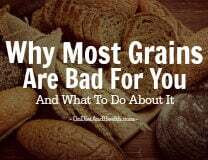 Lately a few bloggers have added white rice to the acceptable grains list. It’s fairly low in Phytic Acid and Lectins. But it’s highly hybridized and almost pure starch with very little nutrients. I tried introducing white rice to my diet but found it too high in starch and not very satisfying. Others can tolerate a little white rice (better than high Phytic Acid brown) but you may find yourself unable to stop at just a small amount. And you’ll be hungry soon after your blood sugar crashes back down…. What I discovered instead was that Quinoa and Wild Rice are tolerable to me in small amounts and reasonably digestible even in my FODMAPS sensitive gut. THERE’S A TRICK TO THIS! PREPARATION IS KEY! How Do I Properly Prepare Quinoa and Wild Rice? Quinoa is difficult to grow, preferring cool arid land often far from commercial transport. It’s a staple of Peru and Bolivia. It’s expensive, so use it in small amounts as extra carbohydrate, color and texture. Most Quinoa is pale yellow, but for some reason Red Quinoa works best in my tummy. I don’t know why. Perhaps it will work for you too. But don’t overeat it – it’s high in carbs. You can buy Sprouted Quinoa but I never found it more digestible. I like this method better. There are 2 kinds of Wild Rice. Both are expensive, but the taste, texture and color are uniquely wonderful. Nutty, dark brown and slightly chewy even with longer cooking. 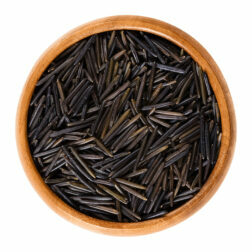 “True” Wild Rice grows wild in 2 to 10 feet of water and is harvested by hand from small boats. It costs $9 to $15 per pound. Cultivated Wild Rice grows on large farm acreage in just a foot of water. The water is drained for combines to harvest the seed. The price runs anywhere from $6 to $12 per pound depending on the grade. Cultivated rice may be hybridized and might not be organic – check the label. I love the taste of both Wild and Cultivated, but have found the authentic wild seed to be more digestible. Try both and see how it goes. Wilderness Family Naturals sells the “real deal” at very good prices. This site has reasonable prices too and offers both wild and cultivated. Again, PREPARATION IS THE KEY TO DIGESTIBILITY! Wilderness Family Naturals true wild rice is Jumbo sized and requires even longer cooking. Longer cooking helps break down carbohydrate structures and improve digestibility. What if I don’t digest Quinoa and Wild Rice very well? If you’ve been grain free for several years, or find you feel best on a low FODMAPS diet, try only small amounts of these foods, well-soaked and well-cooked. Try cooking them even longer and see if that helps. Take it slowly and see if the gut adapts. You’ll find you crave the taste and texture of these carbs and will want to overeat them, so go slowly and don’t forget that vegetables and winter squash are your main carbohydrate source. 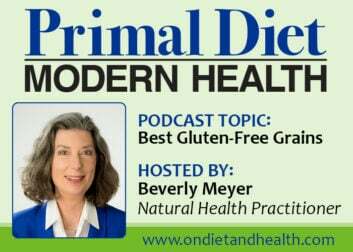 Once you have removed the inflammatory grains you can start to heal Leaky Gut. I have several posts and podcasts on Leaky Gut, as well as this supplement and this Probiotic in my online store. 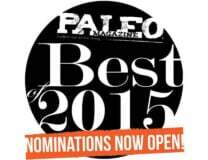 Nominate Me For Paleo Magazine Best of 2015!